Dr. Wiwan Sansanayudh is an accomplished corneal surgeon and her International experience makes her well versed with the latest procedures and current technologies utilized throughout the world. 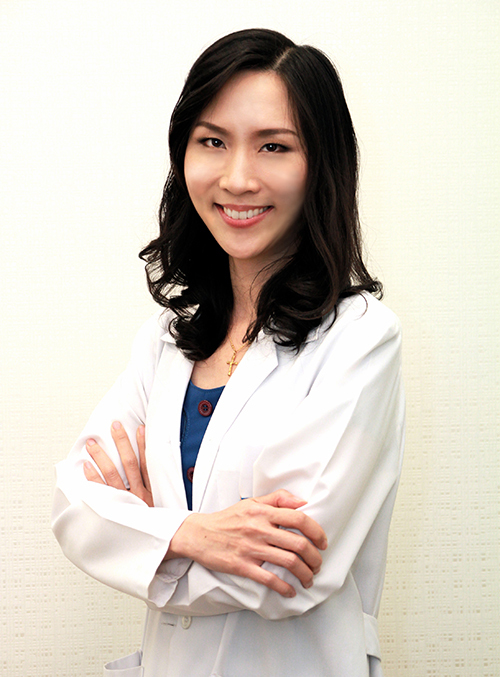 Dr. Sansanayudh is a faculty member at Phramongkulklao Hospital, and works at Laser Vision International LASIK Center. Dr. Sansanayudh recently completed her Clinical fellowship in Cornea & External disease and Refractive surgery at Toronto Western Hospital, University of Toronto. Previous fellowships include Cornea and Refractive surgery at the Francis I. Proctor Foundation, University of California at San Francisco, U.S.A, and Cornea & External Disease and Refractive Surgery at Ramathibodi Hospital, Mahidol University. She obtained her medical degree from the Faculty of Medicine, Srinakarinwirot University and completed her Ophthalmology residency training at Department of Ophthalmology, Phramongkutklao school of Medicine. She is committed to Ophthalmic research and continuous learning and improvement. She has published numerous articles in International professional journals and has also presented to several international Ophthalmology conferences. 1993 – 1999 M.D. : Srinakarinwiroth University, Bangkok, Thailand. 1999 – 2000 Internship, Anandamahidol Hospital, Lopburi, Thailand. 2000 – 2002 Assistant Instructor at Physiology Department Phramongutklao School of Medicine, Bangkok, Thailand. 2002 – 2005 Ophthalmology Resident, Phramongkutklao Hospital Phramongutklao School of Medicine, Bangkok, Thailand. 2005 – 2006 Cornea & External disease and Refractive Surgery Fellowship, Ramathibodi Hospital, Mahidol University, Bangkok, Thailand. 2006-2007 Cornea & External disease and Refractive Surgery Fellowship, Francis, I. Proctor Foundation, University of California at San Francisco, San Francisco, U.S.A.
2007 – 2009 Cornea & External disease and Refractive Surgery Clinical Fellowship, University of Toronto, Toronto, Canada.